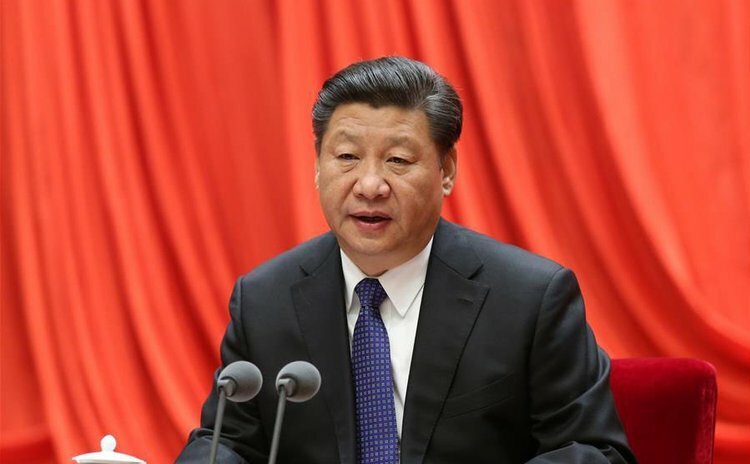 BEIJING, Jan. 12 (Xinhua) -- President Xi Jinping said Tuesday that anti-corruption efforts should not be relaxed in 2016 in order to deter fresh cases from emerging. The campaign against corruption should continue to cover all sectors and zero tolerance will be shown to violators, Xi said at the sixth plenary session of the 18th Central Commission for Discipline Inspection (CCDI) of the Communist Party of China (CPC). In addition to intensified efforts in bringing back fugitive officials suspected of corruption, anti-corruption agencies should also be serious in handling misconduct at the grassroots level, according to Xi. Violators should be severely punished to safeguard people's immediate interests, Xi said, adding the achievements of the anti-corruption campaign should be more tangible for members of the public. The president stressed the importance of respecting the Party Constitution and that its rules and regulations must be followed strictly. Party committees and disciplinary watchdogs at all levels should strengthen their supervision over implementation of the Party Constitution, in addition to the Party's policies and decisions, so as to ensure decrees issued by the CPC Central Committee are obeyed, Xi said. All behavior that violates Party anti-corruption rules should be punished, Xi said, adding that no matter how many offenders are found, they should face punishment. Xi also stressed the necessity of upholding traditional Chinese culture in the cultivation of good work style, urging leading officials to highlight honesty while managing their families. He urged the leading officials, especially high-ranking ones, to be clean in exercising power in addition to setting good examples in abiding by the law and discipline.